He was the greatest figure this country has ever known. Nelson Rolihlahla Mandela was the ultimate South African icon and his legacy will live on. On Wednesday the 18 July 2018 the entire country celebrated the Centenary of Madiba. 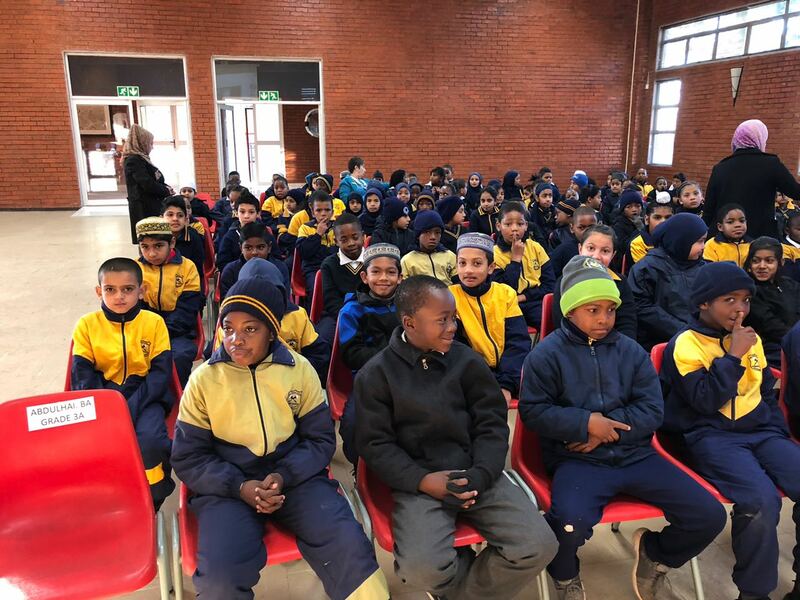 As part of the theme for the 100 years celebration, Dr Yusuf Dadoo Primary school in Azaadville paid homage to the Father of the Nation by having a small concert in his honour. There to join in the festivities was none other than MEC for Roads and Transport in Gauteng, Dr Ismail Vadi. 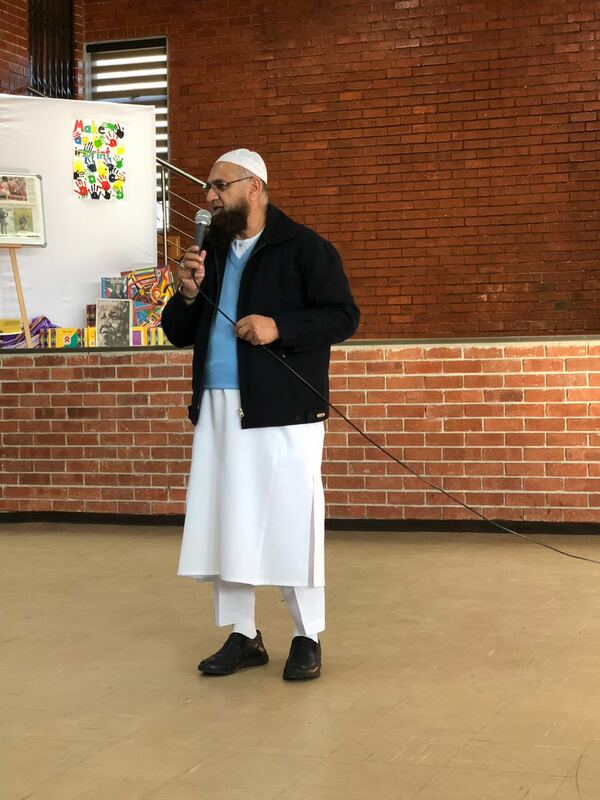 The honourable MEC graced the function as the Guest of Honour and he spoke to the learners of Dr Yusuf Dadoo Primary with great passion. Some of the themes for the day which were highlighted by Dr Vadi, was honesty, integrity and the importance of education. He gave a brief insight into the life of Mandela and stressed on the importance of keeping Madiba’s legacy alive. 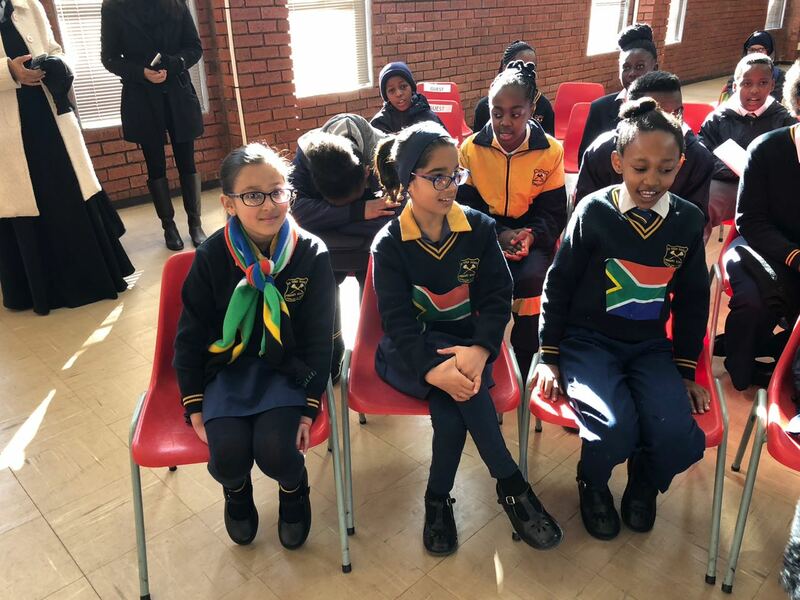 Other guests who attended included the Executive Mayor of Mogale City Councellor Patrick Lipudi, who attended with his team. 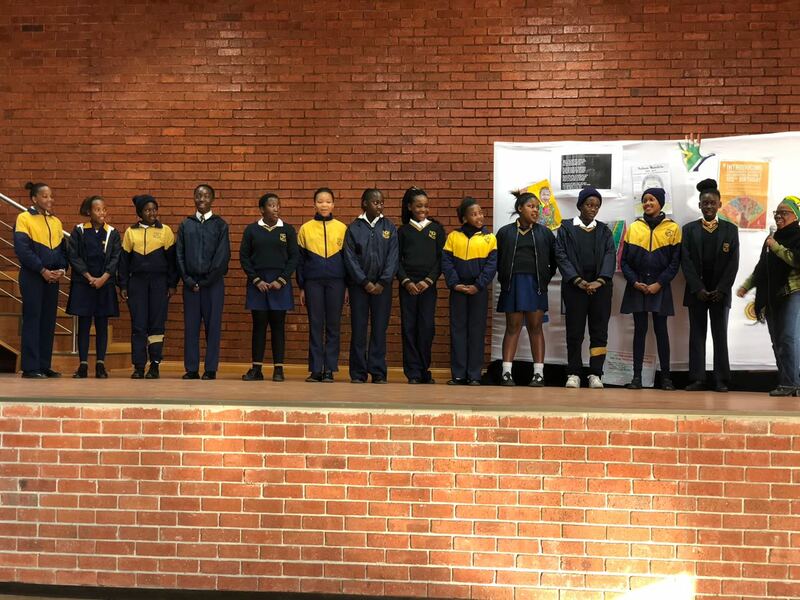 District officials from the Department of Education also attended. 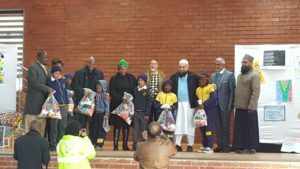 The concert was a huge success, but the cherry on top was the handing over of hampers which were sponsored by the Azaadville community, NGO’s and businesses in the area. 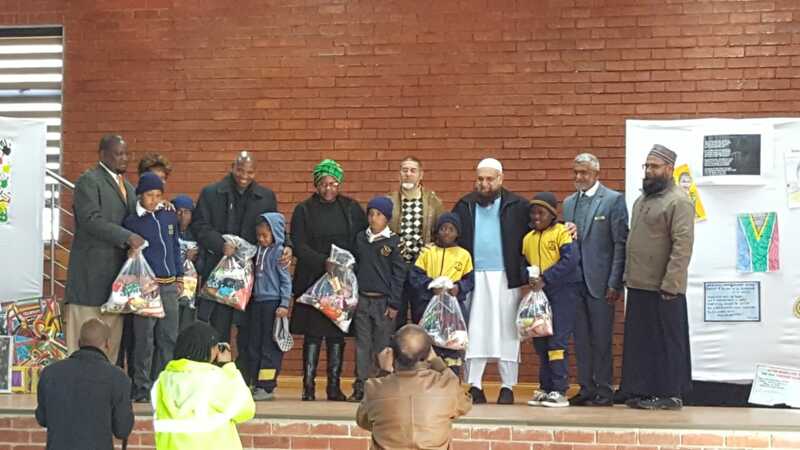 One hundred hampers were given to one hundred learners to celebrate the grand occasion. Some of the items sponsored were sweets, maize meal, warm hats, socks and a variety of other food and sweet treats. 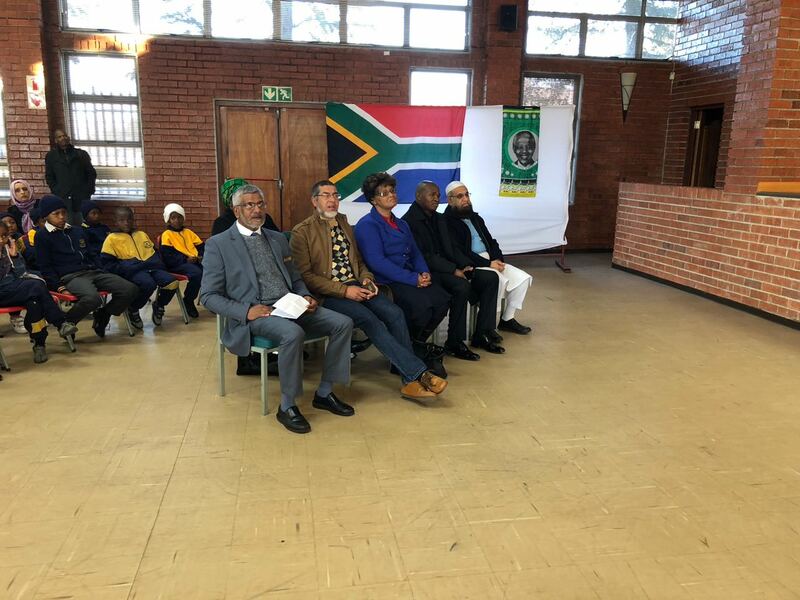 Dr A E Ismail, the principal of the school said that he was very excited at the response from the community. 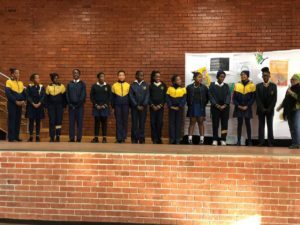 The principal, SGB, educators and learners would like to send out a heartfelt thank you to all the sponsors and individuals who made this day possible.